In the lower right-hand corner of the screen, select the symbol for wifi connections. 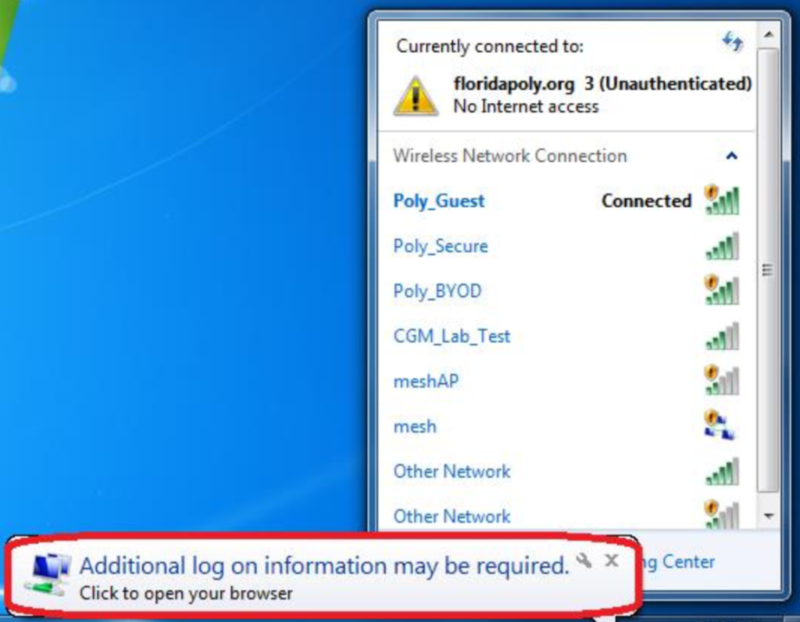 Select poly_guest and click connect to begin the connection. Give the computer time to connect and identify the network. Once the network has been identified, a notification will pop up that additional information may be required. Click on that notification. 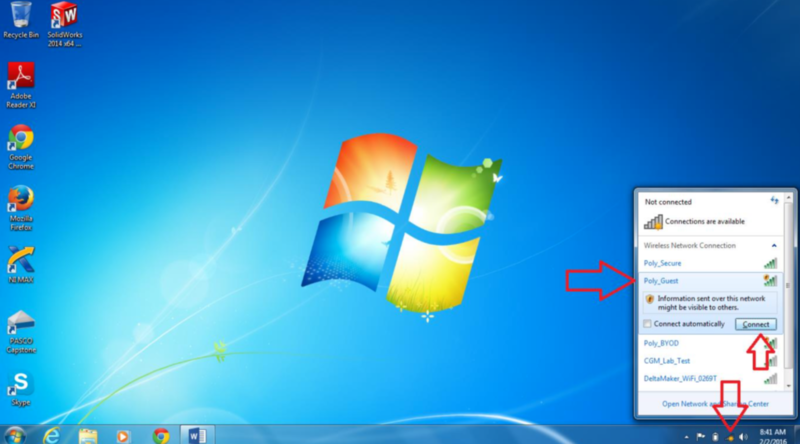 A browser will automatically open, and a login page will appear. Click don’t have an account? A registration page will be pulled up, and all fields are required. Fill out the form and click submit. Registration is complete and the browser will show you the information you provided as well as what your username and password will be. This password cannot be changed. 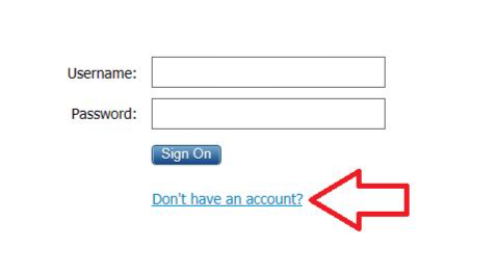 Write it down or copy it prior to clicking ok.
Once you click ok, you will be redirected to the login page. 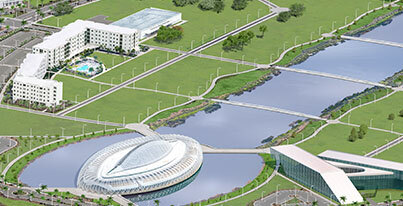 Enter your new credentials into the fields provided and click sign on. A new page will load saying your log-on was successful. You can now navigate to another webpage and you will be connected to the internet. For more information or questions call 863- 874-8888.